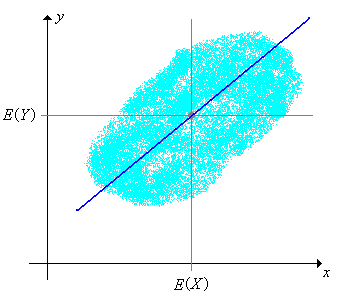 Covariance is a measure of how much two variables change together and how strong the relationship is between them. 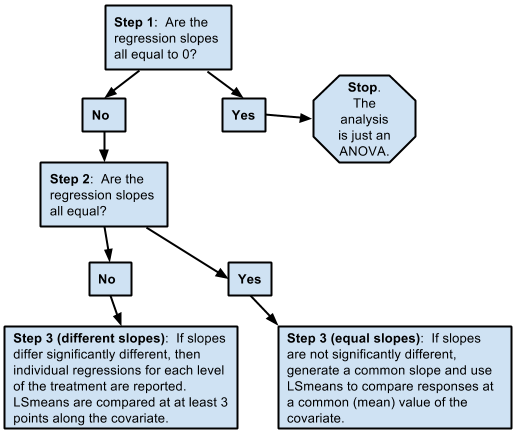 Analysis of covariance (ANCOVA) is a general linear model which blends ANOVA and regression. ANCOVA evaluates whether population means of a dependent variable (DV) are equal across levels of a categorical independent variable (IV), while statistically controlling for the effects of other continuous variables that are not of primary interest, known as covariates (CV). Therefore, when performing ANCOVA, we are adjusting the DV means to what they would be if all groups were equal on the CV. ANCOVA can be used to increase statistical power (the ability to find a significant difference between groups when one exists) by reducing the within-group error variance. Another use of ANCOVA is to adjust for preexisting differences in nonequivalent (intact) groups. This controversial application aims at correcting for initial group differences (prior to group assignment) that exists on DV among several intact groups. In this situation, participants cannot be made equal through random assignment, so CVs are used to adjust scores and make participants more similar than without the CV. However, even with the use of covariates, there are no statistical techniques that can equate unequal groups. Furthermore, the CV may be so intimately related to the IV that removing the variance on the DV associated with the CV would remove considerable variance on the DV, rendering the results meaningless. Observations must be randomly sampled from the population and independent from each other. If this assumption is violated, the test will produce inaccurate results. There must be a normal distribution of the DV in the population. In the event that a distribution that is nonnormal (e.g., skewed or kurtotic) and sample sizes are small, p-values may be invalid. The variances of the DV must be equal for all levels of the IV and the CV. The slope of the line predicting the DV from the CV must be equal for each level of the IV. That is, the CV must not have differential effects on the DV at different levels of the IV. This assumption is violated when there is a significant interaction between the IV and the CV. If this assumption is violated, ANCOVA should not be performed. 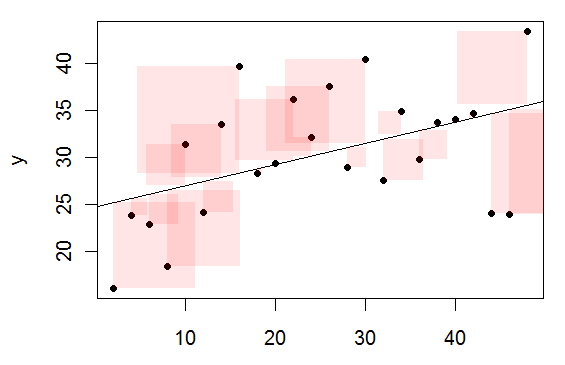 If the correlations of the covariates with the DV are very different in different cells of the design, gross misinterpretations of results may occur. In ANCOVA, we basically perform a regression analysis within each cell to partition out the variance component due to the CV. The homogeneity of slopes assumption implies that we perform this regression analysis subject to the constraint that all regression equations (slopes) across the cells of the design are the same. If this is not the case, serious biases may occur.